On March 23, 2013 Representative Kelly Alexander addressed Charlotte NORML and shared his ideas for reforming marijuana laws in North Carolina. 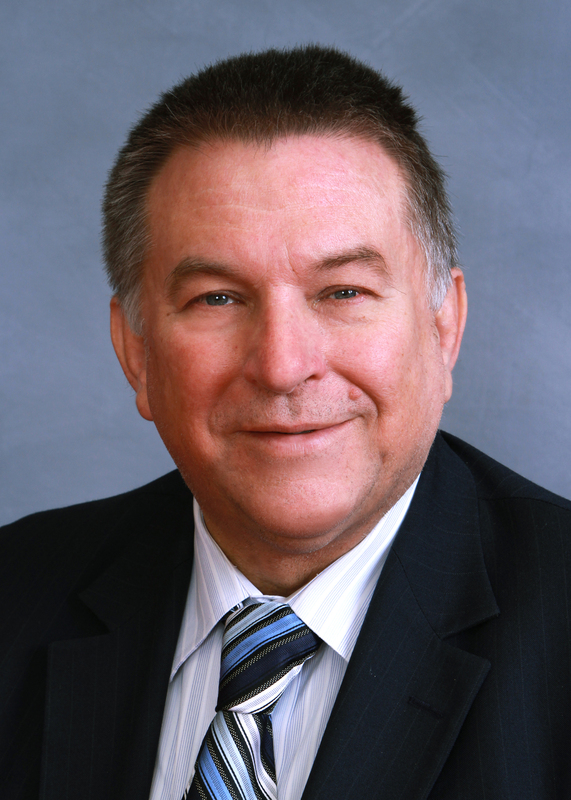 Representative Alexander was the sponsor of North Carolina’s Medical Cannabis Act – House Bill 84. That bill was famously killed in committee and followed up by callous comments by Paul Stam. Apparently, NORML’s approach to reforming marijuana laws in North Carolina didn’t jive with how Rep. Stam and his peers like to do business in the General Assembly. So NC NORML asked Kelly Alexander for some tips on making sure the next marijuana related bill gets passed. North Carolina’s Medical Cannabis Act is a no-brainer. The federal government is moving to a passive posture and is allowing states to do what they want. However, there was opposition to the bill in post parties in the NC legislature. And this is strange since individually members of the NC General Assembly will all tell personal stories about family members who have been helped by marijuana and know doctors who would prescribe it. They’ll also tell stories about how legal medications don’t work and have long lasting negative side effects. There was a MoveOn.org petition that asked people to show support for medical marijuana law reform in North Carolina. The online petition received about 10,000 responses – most of which were from North Carolina. In another group show of support, many of the other representatives complain to Rep. Alexander that “your people are clogging up my email.” Our combined voices are large. The problem in passing legislation in the South is that people are too afraid and too few people want to speak up. Too often people interested in drug policy change are reluctant to be engaged on the front end. The first challenge is to get more people to speak up about the need to end the failed drug war and to get marijuana into the hands of people who can benefit from the plant. Currently the federal government’s arm of cancer research – National Cancer Institute (cancer.gov) – states clearly that marijuana has cancer cell killing properties. The cat is totally out of the bag regarding the medicinal properties of marijuana, but yet citizens still cower with the fear that speaking up will incriminate them, cause them to lose their job or become targeted as an illegal marijuana user. Despite being profound, the statements at the National Cancer Institute are still not enough to persuade the North Carolina legislators. To give others the confidence to speak up, we must seek resolutions through some of the medical societies so the anti-marijuana arguments can be effectively removed. In the upcoming election cycle, it is important for cannabis sympathizers to show up to forums and ask questions about drug policy. We must all ask the candidates about medical marijuana. If the candidate is opposed to it, ask why. When we get people on this side of the discussion its tough for them to support their decision. ‘Because marijuana is a Schedule I substance’ is an often cited reason for being against legalization, we must ask people who are running for congress if they recommend changing the marijuana scheduling. Because NORML has chapters across the state, we must hold forums and engage candidates. “There was a bill in last session that you didn’t support… why?” It’s an uncomfortable question for politicians running for re-election to be faced with publicly. We must hold their feet to the fire in a respectful yet public way. When NORML starts publicizing what candidates’ view are (pros and cons) citizens remember that when they go to the polls. Rep Paul Stam was quoted widely about being annoyed and harassed by supporters of this bill. As activists we should see this as a sign we have their attention. The next step is to take that number of people who showed up in February and multiply it. Next time make it 600… then 1000… then 1500. We need to get as many folks as we can get expressing their views on what needs to change. Peacefully assemble. Pack the General Assembly Mall in Raleigh. Demonstrate that it’s time to change drug policy. Even though this will take work, our message will be clear. And that’s the next challenge… We can’t get that many people to the mall to demonstrate at future legislative action days without some work. We have to talk to people. We have to organize transportation. We have to line-up good speakers. We must get folks within the political establishment interested in change to be willing to address the group. The bad news is that because of the “unfavorable” ruling given by the House Rules Committee to the Medical Cannabis Act, no new medical marijuana legislation can be introduced until after the 2014 election cycle. That’s a long time. But it also gives us time to organize and plan for the next legislative action day. We should target to have 1000 people show up at the next one. Why? Because that short session is before the next election. Then we will follow up with forums. Another method we can use to change the laws requires a bit of psychology. We all know that there are stereotypes of the marijuana culture. When legislators have a particular idea of what a pot smoker looks and talks like, they will suffer from a useful bout of cognitive dissonance when they meet a supporter who doesn’t fit that stereotype. They begin questioning their basic assumptions when we’re well spoken and socially polished. So be the best stoner you can be. Remove doubt in EVERYONE’s minds that pot makes you lazy. Or makes you a paranoid conspiracy theorist. Or causes you to forget what you’re talking about in the middle of a conversation. Find the right balance of marijuana in your life and still be organized in the areas that you care about – especially socially. Public opinion will change when we get our collective acts together. Make sure this is a discussion with people who are not just your friends. Visit other forums ready to engage people in a way that they will respect you and your perspective. And finally, the most important task we must all do – VOTE! And contribute to candidates who support your positions. Volunteer with candidates’ offices and at the voting booth. Get involved in the political process. This all takes work by people who are reliable and diligent. In the end, just remember that if the Medical Cannabis Act had passed in North Carolina, the state would have seen taxation revenues around $100 million and kept people out of the court and prison system. To summarize, we need more doctors and institutes to speak out on marijuana’s efficacy. We need to plan the next legislative action day (and call it “Paul Stam day”) and have a huge rally that is visually exciting. Make sure everyone wears green and have someone waving a flag around with a big pot leaf on it. And, most importantly, stay active and contribute. That’s the only way this is going to work. We are citizens and change requires that we all get involved. I do home NC passes medical marijuana. My husband’s Neuro Dr (at the VA) has made it clear he is a prime candidate for it. Instead, my 33yr old husband and father of 3, is on as many meds as my 93yr old grandfather. For those who oppose it, I have to ask, have you watched you loved one lose their dreams due to chronic, debilitating pain and prayed for a way to make it better? Have you been to every Dr and every medical website, read as many books as possible, all in a vain attempt to try to help. When your loved one tells you “Why are you here? I’m a burden.” – I promise, you WILL do anything and everything you can to help them. I’ve lost a friend to suicide due to the chronic issues he decided he couldn’t live with – my husband will NOT be a statistic. Just saw your video. Nice little piece. Assuming you are in NC, where can activist video be viewed other than on the internet? Only on an internet connected computer. Is there no public access TV in NC? What video program (NLE?) did you use to make your video? An old tape based video recorder. You did well with it. With your eye for the topic you might consider a non-linear (no tape) editing program? Programs like iMovie are so intuitive, you’ll be importing and cutting media in minutes. Assuming you are in NC, what is available to the amateur filmmaker to present video? Some places have wall-to-wall cable TV districts in which they must provide an access channel. It’s old school (like a VTR) when compared to YouTube and Vimeo, but every home seems to have a TV, not every home a computer (yet). I have been truly been helped by the medical use of cannabis. It is time to re-elect persons who are not afraid to vote yes. 0 deaths from cannabis but the other drugs I was given had a 6% of death, as well side effect. Time for change is now ! Carson… Thank you for sharing the many medicinal benefits of cannabis towards your health. We encourage you to call and write your members in state congress, encouraging then to co-sponsor HB1161. We wish you and your family the best. It is interesting to read that our NCGA District 107 (Mecklenburg) Representative, Kelly Alexander, “reads alot” and also “reads about marijuana treatment for pain.” Alexander states that, “since he is in the funeral business, he sees first hand chronic end of life pain.” Representative Alexander is a long time advocate for the legalization of marijuana usage in North Carolina having only anecdotal and reading exposure to the use of marijuana. Emergency-room admissions where marijuana is the primary substance involved increased by 164% from 1995-2002. If pot is relatively harmless, why are we seeing more than 100,000 hospitalizations a year for marijuana use? While marijuana is not addictive in the way that a drug like crack-cocaine is, heavy use can lead to dependence-defined by the same criteria as for other drugs. About half of those who use pot daily become dependent for some period of time, writes Kevin Sabet, in the 2006 book, “Pot Politics”-and 1 in 10 people in the US who have ever used marijuana become dependent at some time (about the same rate as alcohol). Dr. Sabet was a drug policy advisor in the past two presedential administrations. Todays marijuana is more potent than in the hippie days of yesteryear. But that doesn’t change what’s always been known about even casual use of the drug. It distorts perception, reduces motor skills, and affects alertness. When combined with alcohol (not unusual), or even alone, it worsens the risk of traffic accidents. No one has figured out what the exact social costs of legalizing marijuana would be. But ephemeral taxes won’t cover them-nor should society want to encourage easier access to a drug that can lead to dependency, has health risks, and reduces, to name just a few of its negative outcomes. Legalization backers, such as NC representative Kelly Alexander, say the country is at a tipping point, ready to make the final leap. They hope that a new generation of politicians that has had experience with marijuana will be friendly to their cause. But this new generation is also made up of parents. Do parents really want marijuana to become a normal part of society-and an expectation for their children? Parents must make clear that marijuana is not a harless drug-even if they personally may have emerged unscathed. And they need to teach the life lesson that marijuana does not really solve personal challenges, be they stress, relationships, or discouragement. In the same way, a search for joy and satisfaction in a drug is misplaced. The far greater and lasting attraction is a life rooted in moral and spiritual values- not in a haze, a daze, or a muchie-craze. Todays youth are tormorrow’s world problem solvers-and the ones most likely to be affected if marijuana is legalized. Future generations need to be clear thinkers. For their sakes, those who oppose legalizing marijuana must become vocal, well-funded, and mainstream-before it’s too late. To answer your question, those hospitalizations aren’t for physical addiction, they’re for mental addiction. There are more people ‘addicted’ to facebook than there are people ‘addicted’ to weed. I know that your post was made a long time ago, but i read it so i am confident that other people will to. May I ask how you treat these patients are addicted to marijuana? I don’t think that there is any real treatment because there are no physical withdrawal symptoms. As many who who have very little or no understanding of chronic drug usage, you incorrectly use the term “addiction” when you more than likely meant to have used the term “tolerance.” Addiction is the use of a medication, or drug, for totally non medical purposes. Tolerance is a natural physiological phenomenon that occurs after chronic drug usage that requires more of the drug to achieve the same effect(s). I do not understand what you mean by being “addicted” to Facebook. You are mixing medical terminology with social media terms and the result is non convincing illogical reasoning. The treatmen for “addiction to Marijuana?” Are you referring to treatment of marijuina tolerance or even pseudoaddiction? Yes, there absolutley are physical withdrawal symptoms to the abrupt cessation of chronic use of marijuana as well as psychological symptoms. Treatment is muti-factoral and is patient centered depending upon the degree of symptoms elicited. I surmise that Kelly Alexander is a better undertaker than he is an “expert” on the use and abuse of marijuana. There are no known side effects of abruptly ending the consumption of cannabis for anyone – even the most chronic of users over several decades report no withdrawal symptoms. The plant offers relief for so many people in both psychological and physiological need. There are no known reports of people going through physical withdrawals when they stop using the plants – unlike opiates and alcohol, tobacco, caffeine… This plant is benign in every sense of the word compared to all the other plants, chemicals and food packed with preservatives. Yes – “tolerance” is a better word. Contrary to the belief of some, marijuana’s dependency is proven. I have studies, yet unpublished, showing 9 per cent of users becoming dependent upon marijuana; this munber increases among those who start young ( to about 17 per cent, or 1 in 6) and among those who use marijuana daily (to 25-50 per cent). Long-term marijuana users trying to quit exhibit withdrawal symptoms including irritability, insomnia, decreased appetite, anxiety, and drug craving, all of which can make it difficult to abstain. Behaviorial interventions, including cognitive-behavioral therapy and motivational incentives (i.e., providing vouchers for goods or services to patients who remain abstinent) have proven to be effective in treating marijuana dependency. Although no medications are currectly available, recent discoveries about the physiology of the endocannabinoid system offer promise for the development of medications to ease withdrawal, block the intoxicating effects of marijuana, and prvent relapse. The withdrawal symptoms you mention actually sounds more like the conditions people live with that marijuana helps. Mention of “on published studies” sounds apocryphal. I was replying to your statement in which you said “even the most chronic users over several decades report no withdrawal symptoms (with cannabis).” Withdrawal symptoms do exist with the cessation of usage of marijuana. I do realize that there is a movement, nation-wide, that is lobbying and pushing for the legalization of the use of marijuana, both for medical conditions as well as recreational usage. I fully respect your rights in your attempts to make the use of marijuana legal. Perhaps consideration should be given to the legalization of all drugs, with the expectation of a marked decrease in national crime rates such as robberies and murder as most are drug related. Actually, the correct term is NOT “addiction”, NOR is it “tolerance”. A psychological dependence, which HAS been attributed to ONLY SOME marijuana users, is called “HABITUATION”. Research has proven that the body itself does NOT and CANNOT become physically addicted to cannabis, although the mind can become habituated. I share this information because, to win a war of ideas, we have to use basic, correct terminology in order to be heard. 1. This is AMERICA – land of the free and home of the brave. Our representatives SHOULD be listening to, and governing, in a way that is “by the people, for the people”. If 70% + of North Carolinians believe that medical cannabis should be legalized, then who are these politicians to say “No”? If we want to see change, we have to use OUR POWERS – the POWER of our VOICES, and the POWER of our VOTES! 2. I have been living with chronic, severe fibromyalgia; arthritis; migraines; and herniated / bulging discs for over 14 years now. I have been on almost every medication there is for my disabilities – they don’t work for me, and the side effects are awful. I have utilized almost every alternative treatment (i.e. acupuncture, massage, nutritional supplements, chiropractic, counseling, cognitive-behavioral therapy, TENS, ultrasound, etc. ), and yet I still live in AGONY on a daily basis. The ONLY thing that has EVER helped me was cannabis. 3. It is NOT the purpose, nor the right, of the government to decide how I treat my illnesses. That right is mine, and my doctor’s. The government has NO RIGHT to interfere with MY medical decisions or treatment. 4. It is also NOT the purpose, NOR the right, of the government to tell me what I can or can not put into MY body. I am an educated, intelligent adult, capable of making my OWN decisions! 5. The “radical right”, as I call them, do NOT represent the wishes of the entire state of North Carolina. In fact, the Evangelical Christian movement is quite small – but they are the ones screaming the loudest, telling others how to live (and calling it “God’s will). This country was founded on religious freedom and the rights of the individual. I don’t tell othets what to do and use MY beliefs as a WEAPON. Many of the “rafical right” DO. However “right” these individuals THINK they are, the LAW states that as long as I am not directly harming another individual, then other individuals do NOT have the right to tell me how to live my life, including what I can or cannot do. Have the “radical right” forgotten that God said, “Whatsoever you make legal on earth, so too will it be in Heaven”? I don’t currently live in North Carolina anymore, although I spent 7 years there in my 20s. However, I am moving back to the southeast as soon as my responsibilities here in Illinois are fulfilled. My decision of where to move will be SIGNIFICANTLY impacted by the medical cannabis laws of the states I am considering. I am fortunate that Illinois FINALLY woke up and legalized medical cannabis for people like me. I am NOT going to give up my medicine, despite how much I LOVE NC and want to return. The culture and climate of Illinois are – quite literally – killing me. However, moving back to North Carolina without being able to use the ONLY medicine that TRULY works for MY BODY would ALSO -quite literally- kill me. Hopefully, if more people speak up from BOTH inside and outside NC, the laws will change. For those of us who don’t live in NC, but want to, let the legislation know that we won’t be moving to North Carolina because of their archaic laws and lack of medical choice/privacy. Then, perhaps, the legislators will finally understand…the ONLY thing they understand…that refusing to legalize a natural medicine is going to substantially harm the state’s (and subsequently their own) REVENUE! I truly hope that, when it FINALLY comes time for me to move again, that North Carolina will welcome me back with open arms, open hearts, and open minds…and the RIGHT to use medical marijuana without fear, rejection, or repercussion. Because as I see it, the use of this herbal medicine was my right all along anyway. As a board certified physician specializing in Anesthesiology with a sub board certification in Pain Medicine ( 16 years medical training after high school), I have treated thousands of unfortunate sufferers of acute and chronic pain. I do know how to diagnosis and treat chronic pain. With all due respect to you, you use the term “habituation.” Did you make this up? I have lectured at Harvard, Vanderbilt, UNC, University of Chicago, etc. sitting on panels on respected pain specialists and never has the term “habituation” been mentioned. So to quote your words. please use correct terminology if you throw yourself into the ring of trying to win over those who do not agree with you. I am happy that for you, marijuana relieves your pain of fibromyalgia syndrome (not a disease) and your other ailments. However your “reasons” you are provide are purely personal and therefore anecdotal. What works for you might not work for someone else. That is why we are studying the analgesic effects of marijuana in research labs and in studies across the nation. Unfortunately, the legalization of marijuana has become a political issue for those with little or no medical knowledge speaking as if they were experts in the field. You say that “This is America.” Yes, and in America we still elect those into legislative office who represent us and make the laws that serve us best. Inflamed rhetoric does not go very far in logically convincing those who would not agree with you, especially if you use anecdotal incidents and even bringing religion (Evangelical Christians) into your rants and also have your medical terms totally skewed and incorrect. Medical studies and research on the use and abuse of marijuana are ongoing and both sides of the emotional issue have their “studies” to “prove” that they are correct. As I have said before, perhaps this is the time to legalize ALL drugs with the expectation of the decrease of the national crime rate. As a physician board certified in Physical Medicine & Rehabilitation and in Pain Medicine and Pain Management, (16 years education and training post high school), having served as the US Army Consultant to the US Army Surgeon General, lecturing and serving on pain panels at UNC, Vanderbilt, UK, Harvard, University of Chicago, I have diagnosed and treated thousands of pain patients. Unfortunately your anecdotal personal experiences and your inflammatory rhetoric, even quoting Bible verses and blaming “Evangelical Christians” for the failure of elected legislatures to pass laws making the use of marijuana legal, will do little or nothing to convince those who believe otherwise. Your use of the term “habituation” is not one used in the medical pain specialty field. It is somewhat more of a quasi-psychological term which denote learned behavior in lab animals and the like. Never the less, I am happy, that for you, you have found something that will relieve your chronic pain syndromes. The treatment of pain is very difficult and very individualized. What may be effective for you may not be effective for someone else, even causing untoward side effects in other individuals. The treatment of chronic pain is multi-faceted and affects the pain patient, his/her family and includes primary, secondary, and even tertiary gains. It is a very difficult field in which to practice medicine. Cool heads must prevail as the medical studies continue to gain more insight into the lasting effects of marijuana and other adjunctive drugs and therapies in the treatment of chronic pain. In the meantime, we, have the right to vote for whomever will represent us in state-wide or national offices to vote the way that the majority of citizens in their districts desire. This is our right as being Americans. It is the “pursuit” of happiness that is guaranteed by the US Constitution. I am a candidate for NC State House of Representatives, District 107 (Charlotte). When elected, I will represent ALL of the people in NC House District 107 regardless of their political affiliations, race, religion, gender, or ethnicity and I will listen as to what THEY want and how they want me to vote FOR THEM in Raleigh. I appreciate your vote and support in the Democratic Primary on Tuesday, March 15, 2016 for NC State House of Representatives District 107. While habituation is defined as a process that decreases a behavioral response to a recurring stimulus, there is an additional connotation to the term habituation which applies to drugs and habits. For example, an alternative use of the term habituation involving psychological dependency on drugs is included in several online dictionaries. The origin of this use of the term is instructive. A team of specialist from the World Health Organization (WHO) assembled in 1957 to address the problem of drug addiction and adopted the term “drug habituation” to distinguish some drug-use behaviors from drug addiction. According to the WHO lexicon of alcohol and drug terms, habituation is defined as “becoming accustomed to any behavior or condition, including psychoactive substance use”. By 1964 the America Surgeon’s General report on smoking and health  included four features that characterize drug habituation according to WHO: 1) “a desire (but not a compulsion) to continue taking the drug for the sense of improved well-being which it engenders”; 2) “little or no tendency to increase the dose”; 3) “some degree of psychic dependence on the effect of the drug, but absence of physical dependence and hence of an abstinence syndrome”; 4)”detrimental effects, if any, primarily on the individual”. However, also in 1964, a committee from the World Health Organization once again convened and decided the definitions of drug habituation and drug addiction were insufficient, replacing the two terms with “drug dependence”. Substance dependence is the preferred term today when describing drug-related disorders  whereas the use of the term drug habituation has declined substantially. This is not to be confused with true habituation to drugs, wherein repeated doses have an increasingly diminished effect, as is often seen in addicts or persons taking painkillers frequently. Don’t feel bad Doc, I had to google it. Thanks Pete. I don’t feel badly, really. I appreciate the dialog as you have kept it on a logical and reasonable discourse. The debate on the legalization of marijuana is far from over and those who use their personal anecdotal events will continue to scream the loudest drowning out the scientific research studies of those who have devoted their lives to the study and treatment of chronic pain. As I have said before, I am not against the legalization of marijuana. However, we must realize the total effects the legalization of this drug would and could bring upon us as a society. Strange how we listen to our scientists and physicians when it comes to cancer treatment but when it concerns marijuana, those who would make it legal think that the doctors and scientists are lying for some secret ulterior motive. Strange indeed. If NC State House District 107 wants to legalize marijuana for medical and/or recreational uses, I will vote to legalize it in the NC General Assembly as a representative of the citizens of NC District 107. Democratic Primary Tuesday March 15, 2016. I appreciate your support and vote. While your willingness to vote the will of your 107th constituents is admirable there is no mechanism in place to produce a measurement of that will. This, of course, is not geographically specific enough. elon college poll on medical marijuana. One of my main beefs with North Carolina politics is the absence of a provision for a public ballot initiative and for recall of a sitting politician. If there were these provisions we would do this ourselves, as other states have. In Amy’s example, though anecdotal, the fact is that cannabis worked for her. At what point does the volume of anecdotal evidence become so large that the scientific community must consider it if only to protect their credibility? “Strange how we listen to our scientists and physicians when it comes to cancer treatment but when it concerns marijuana, those who would make it legal think that the doctors and scientists are lying for some secret ulterior motive.”. If the Elon poll is accurate that means 70+% of us. Much of the fighting about medical cannabis revolves around who is going to get to “cop a feel” on the resulting revenue stream and how big a “feel” that is going to be. The most disgusting, not surprisingly, comes from Raleigh. To date, if I remember correctly, the proposals from both parties have included a 15% tax on gross sales from producers, and a 15% tax on gross sales from retailers. Administrative costs are covered by fees and licensing. First there is no support for those who are ill from insurance companies so this will come directly out of their pockets. Second, none of the the collected money goes to R&D to improve the product. What did these politicians, from a value added perspective, contribute to this equation that entitles them to 33% of the gross? Amy also made one other important point. “It is NOT the purpose, nor the right, of the government to decide how I treat my illnesses. That right is mine, and my doctor’s. The government has NO RIGHT to interfere with MY medical decisions or treatment.”. I would argue that Dr.s also have no rights in this equation. They are my advisors. The decisions are mine. It would be very interesting to see how large the support for your campaign would be if you took a very clear pro medical cannabis position. Here here Pete! Well stated! THANK YOU for both understanding, and reasserting my ideas. I was sorely disappointed that “Representative” Alexander chose to take a few bits of my argument (out of context, I might add), and then claim to “serve” the people of North Carolina. I, too, have often wondered when the qualitative, anecdotal evidence would be given it’s proper due. I also wonder, on a DAILY basis, when our so-called democratic state stopped representing and serving the MAJORITY of its people. NOT the minority group of people whose power, money, influence, and ultra-conservative religious beliefs are currently dictating policy FOR THE MAJORITY. In this case, why is the government enacting laws that HARM the majority of individuals who utilize medical cannibis responsibly? 2. Passes legislation that makes it exceedingly difficult to obtain our only other medicinal option, by SIGNIFICANTLY limiting our access to opiods? I may not have a medical degree or years of being a pain treatment physician, but I DO have 15+ years of living in CONSTANT AGONY. I also have a Master of Science degree in Psychology, and the knowledge gained from consistently researching the pain management tools made available to me. I have tried just about every drug, supplement, traditional and alternative therapy known to science – and the side effects are almost as debilitating as my disease. But the ONE THING – an herb that doesn’t even need to be manipulated to be effective – that has brought me consistent relief with minimal side effects, is being DENIED to me. WHY?!? What I have learned through my “personal anecdotal evidence” is that the reason “Why” is that the government, and our so-called representatives, would rather serve and represent the interests of the small minorities I listed above – in particular, the ultra-conservative minority groups with either the largest bank accounts, or those with the loudest voices (for example, the “radical right” of whom I wrote in my last message). Just because a small minority of individuals misuse or may misuse medical cannibis is NOT a valid reason for denying access to the larger majority who NEED it! By denying those of us who live with chronic, untreatable pain the access to medical cannibis, you are denying us reasonable access to our RIGHTS of Life, Liberty, and the Pursuit of Happiness – and instead forcing us to barely live, with the anchors of some horrific side effects from our only other medicinal remedy – opiods, with no hope for happiness. I have also learned that, until the MAJORITY of Americans rise-up and vote out our current bunch of self-serving career politicians, NOTHING will change. Our rights are being taken away from us, one by one, by the GOVERNMENT. And, I believe IT IS TIME WE TOOK OUR RIGHTS BACK! Representative Kelly – If I seem upset to you, it’s because I have been in agonizing pain for 15+ years – a fact that you can’t understand because you’ve never known my pain. Despite your rebuttal, I was in no way disrespectful to you or anyone else….and yet you have the audacity to tell me that I need to “allow cooler heads” to prevail. I have not insulted anyone. I simply expressed my beliefs. Unlike the “radical right”, I don’t try to put down other people’s beliefs, and I most certainly do NOT ATTEMPT TO FORCE EVERYONE TO THINK AND ACT LIKE ME. My head is cool, I assure you. Just because you don’t like what I have to say doesn’t give you the right to attempt to silence me. That’s another one of my RIGHTS as an American citizen…One of my AMERICAN RIGHTS that YOU SHOULD BE PROTECTING! Just like you should be REPRESENTING and PROTECTING the RIGHTS of the MAJORITY of your people! Thanks again Pete for standing up with me. My apologies for the multiple similar posts. As I was proofing my response, my server kept going off and on, which resulted in two similar replies being posted before I intended. Colonel Blok – If I seem upset to you, it’s because I have been in agonizing pain for 15+ years – a fact that you can’t understand because you’ve never known my pain. Despite your rebuttal, I was in no way disrespectful to you or anyone else….and yet you have the audacity to tell me that I need to “allow cooler heads” to prevail. I have not insulted anyone. I simply expressed my beliefs. Unlike the “radical right”, I don’t try to put down other people’s beliefs, and I most certainly do NOT ATTEMPT TO FORCE EVERYONE TO THINK AND ACT LIKE ME. My head is cool, I assure you. Just because you don’t like what I have to say doesn’t give you the right to attempt to silence me. What medical terminology EXACTLY did I misuse? Just because you are unfamiliar with the psychological term “habituation”, doesn’t make it an incorrect medical term. That’s another one of my RIGHTS as an American citizen…One of my AMERICAN RIGHTS that YOU SHOULD BE PROTECTING! Just like you should be REPRESENTING and PROTECTING the RIGHTS of the MAJORITY of your people! Here here Pete! Well stated! THANK YOU for both understanding, and reasserting my ideas. I was sorely disappointed that want-to-be “Representative” Blok chose to take a few bits of my argument (out of context, I might add), and then claim to “serve” the people of North Carolina. Wow. Yes, the issue of legalization of marijuana has become a very emotional issues with overlapping scientific studies from both sides “proving” their stands. I can only speak of my personal years of experience in treating acute and chronic pain including successes and failures. In Iraq, as the Commander of a Combat Support Hospital. I had to write a letter to the parents of a soldier who walked into our ER, shot himself in the head and died right there. His suicide note outlined in detail his use of marijuana and only that substance was found in his system. Anecdotal perhaps but heart breaking none the less. FYI, personally I am not “ultra conservative” so placing those who hold an opinion, perhaps not exactly the same as yours, into a “box” is counter productive to your position. Stated once again, perhaps the legalization of ALL drugs should be on the table for consideration. That would decriminalize drug usage and decrease the crime rate substantially. Why should we stop at marijuana? “Stated once again, perhaps the legalization of ALL drugs should be on the table for consideration.”. Maybe it should, Portugal appears to have been successful, and you are free to make that argument in your campaign but from a medical CANNABIS perspective broadening the argument to include heroin, amphetamines and cocaine does not make sense. I can only speak for myself and, that said, I am not interested in treating my own health issues with heroin, amphetamines and cocaine. That’s fine Pete. No argument here, only a suggestion that we could drastically lower the crime rate while at the same time legalizing all drugs to give everyone (just like you chose to only use CANNABIS) for your medical issues) the personal choice to use whatever drug that they feel they need for their medical maladies. Shouldn’t everyone have the freedom to chose their own treatments and not just you? What “makes sense” to you might not be the same for someone else and you wouldn’t want to tell anyone else how to treat their medical issues,………… or would you? Just as its your “right to make your medical decisions,” should it not also be the “right” of everyone else to make their medical decisions or do your rules only apply to you when it comes to marijuana? FYI Pete, amphetamine like drugs are used in the treatment of medical conditions daily, i.e., Attention Deficit Syndrome. Cocaine is an accepted local anesthetic still used daily in surgery and anesthesia. Good dialogue. At least some people are thinking and talking. Good start. It’s easy to throw darts but constructive conversation is always appreciated. .Doc, this is the NORML site. Cannabis is the focus. I see nothing positive coming from broadening the topic. It’s a situation much like yours relative to your reluctance to clearly state your position regarding Cannabis. It appears that you either disagree or fail to see enough upside. I normally dont comment on topics like this, but I feel as though i have to put my 2 cents in. Dr Blok, the point everyone is making is that marijuana is classed as a schedule 1 drug, meaning it has no medicinal properties. Yet, it is widely known that cannabinoids are highly effective at treating seizures. (see Charlotte’s Web, and not the movie). It has also been done for decades to allow cancer patients to use cannabis for alleviating the side effects from chemo. I can post studies to prove what I am saying all day long, if need be. But I am hoping that as a Dr, you will have atleast heard of the situations i am referring to. Our bodies have an Endocannabinoid system and marijuana provides cannabinoids. Studies are conclusive yet on what exactly our Endocannabinoid system is for, some think it is for dealing with severe medical issues like cancer and some think it is to help us forget pain, but we know it is there. We also know that cannabis interact with the receptors for this system, CB1 and CB2, and we know that there are benefits from it. From the addiction standpoint, there is no “addiction” per se. If you use cannabis then your body will stop or at least severely diminish its natural cannabinoid output. When you stop cannabis, you will get a day or 2 of “feeling off” and that because your body is transitioning to making its own cannabinoids again. Now the argument can be made that if you use marijuana and feel better, then perhaps your brain isn’t making enough cannabinoids. But the point is simple. There is overwhelming evidence that cannabis can be used in the medical field, and yet people like yourself seem happy to turn a blind eye to the science you purport shows marijuana to be a blight on humanity. either you take in ALL of the science or you lose the right to claim any of it. I don’t think anyone in this state thinks a child should be on cannabis unless it is at the direction of a medical professional (cancer, seizures, etc). In fact, all of the negatives you claim for marijuana can also be found in Flexiril, Oxycodone, Oxycontin, Morphine, Vicodin, Valium, Fentanyl, etc… All of which I have been on and none of which helps with the pain. Lets not forget how many people die from alcohol and the withdrawal from alcohol that can kill you. Of all those meds, cannabis also doesn’t have you in the bathroom after 2 weeks of no bowel movement, in tears, because you are so constipated. So how can you sit there and talk down to us about marijuana when Dr’s like you will whip out that script pad and write a script for any of the above (yes, i know flexiril is not an opioid) and with the side effects, the ones you say make marijuana a blight (drowsiness, irritability, insomnia, decreased appetite, anxiety, and drug craving)? Oh and drug craving??? have you ever been on an opioid for 10 yrs and missed your dose by a few hours?? So tell me why a plant, that works with my natural system is so much worse than the crap you readily write a script for? oh and lets see how many overdoses are there on prescription pain pills each year? How many have died from overdosing on marijuana? As for your “lets legalize everything”, well cocaine is a schedule 2 drug and i will agree with you as soon as you show a single study that shows medicinal value behind LSD and heroin. And yes, I know that all the scripts above come from the same plant. But there is a difference between percocet and heroin. Noone says cannabis doesnt have problems. I see a huge rise in obesity and stock prices in krispy kreme and taco bell in the future. Noone is saying we should fully legalize it for recreational use either. Although I am still waiting for someone to explain how alcohol is so much safer. With the move towards legalization catching on in even more states besides Colorado, new studies are now emerging that indicate that marijuana just may not be the panacea cure that the advocates of marijuana usage advocate. Chronic marijuana use may be linked to an illness known as CHS (Cannabinoid Hyperemesis Syndrome.) I recent years in Colorado, the reported cases of CHS have doubled. The symptoms are severe and include chronic emesis, (vomiting) at the urge to vomit for as long as THC is being used.